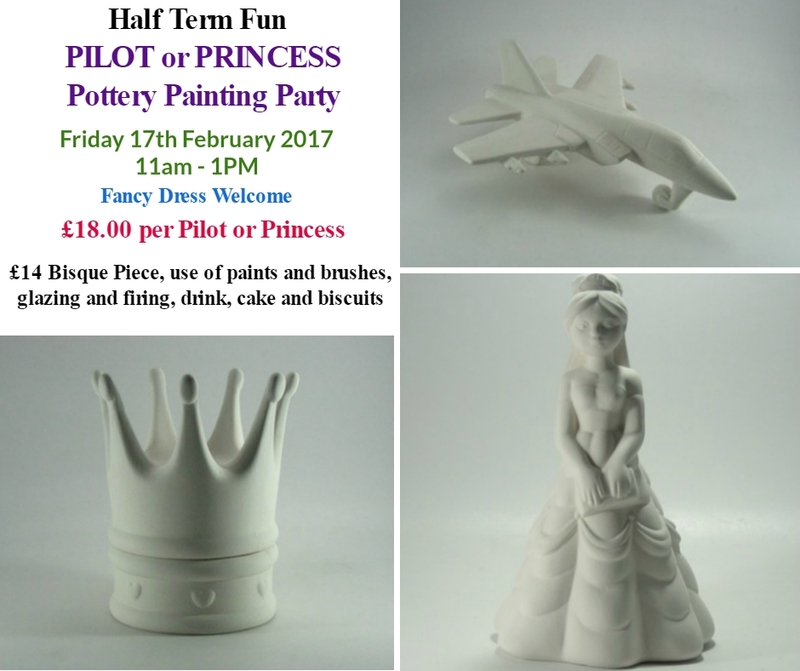 Half Term Pilot or Princess Pottery Painting Party. Drink, cake and biscuits for all Pilots and Princesses. Email us at info@calliscorner.com or call Jackie on 07951308110 or pop into the studio.